RC BLOG #2 – Louder Than War! 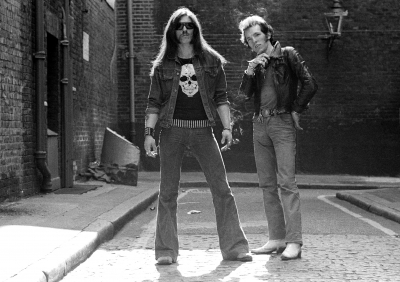 Way back in the mists of time I happened to see a fledgling Motörhead at their very first gig supporting the Blue Öyster Cult at Hammersmith Odeon in, I think, 1975. That was an interesting show as the ‘Head featured Lucas Fox on drums and former Pink Fairies man Larry Wallis on guitar. I’m not sure who the bass player was (note to readers who think we don’t know our onions: this is a joke). To be honest Motörhead were fairly underwhelming, especially because their sound was totally incompatible with BOC’s style of highbrow, thinking man’s metal. They were booed and jeered and, for shame, I was one such detractor. Anyway, as time rolled on, Motörhead’s revised line up actually became not just good, but great, and my adversarial stance was totally reversed. Fast forward about 10 years and Motörhead were now headlining Hammersmith. Now I know it’s very fashionable to say Lemmy and Co. were the loudest band around, but the sound on this particular night was excruciating. You have to remember that I’d been going to rock gigs since the early seventies and had seen and heard ‘em all – Ted Nugent, Zeppelin, Sabbath, AC/DC, Quo. They played it ultra loud, the lot of ‘em. But this show was insanely loud. So loud that the thud of Filthy Animal’s double kick drums felt like he was up close and personal, kicking me in my chest. In fact it was so loud that I even considered getting the hell out of the venue to a place of safety. And I’m no wimp! For many years Deep Purple were considered the loudest band in the world. In fact, the Guinness Book of Records first put them on that pedestal. And having been fortunate enough to see the original Purple (Mk II) at the Kilburn Gaumont, I can attest that they were indeed deafening. But that Motörhead show took things to a whole new level. Years later my wife and I got into a discussion about loud gigs. At first we couldn’t hear each other (that’s another joke) but I finally understood that she’d been at the same infamous Motörhead show as me. We agreed that it had been ridiculously, teeth-rattlingly loud. We didn’t know each other at the time, but we agreed that it was certainly the loudest volume we’d ever been exposed to. Luckily my wife’s mind is clear and focussed these days, while my brain still hasn’t recovered. It remains mush, like a plate of creamed potatoes. But what the hell? It was worth it.